Greenville Family Medical Centre is a privately owned company that is categorized under the Offices of Health Practioner. Greenville Family Medical Centre operates primarily in the Emergency Care Facilities, Occupation Medicine, Physicians and Surgeons and Medical Clinics line of business. Greenville Family Medical Centre specializes in the field of minor emergencies, occupational medicine and family medicine and it offers services such as lab testing, immunizations, x-rays, physical exams, alcohol breath tests, drug screens, orthopedic injuries treatment, audiograms and spirometry, workers compensation and DOT exams. 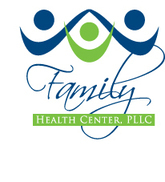 Greenville Family Medical Centre is based in Greenvile. There are currently 0 consumer reviews about Greenville Family Medical Center available. Share your review. Please take a note that you are about to post a public review about Greenville Family Medical Center corporate office on CorporateOffice.com. This review will be public, so please do not post any of your personal information on this website. If you would like to contact the corporate offices of Greenville Family Medical Center, please use their contact information such as their phone number, website, and address listed above to contact them. However, sometimes staff from Greenville Family Medical Center headquarters do read the reviews on this website.